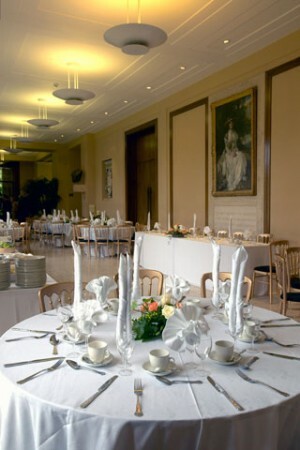 Hold your function in the company of Old Masters and famous Impressionists in the 1930s elegance of the Grade II listed Barber Institute of Fine Arts. The Barber is Birmingham’s finest Art Deco building, and our fine marble concourse makes the perfect backdrop for functions that will impress friends, colleagues and clients alike. 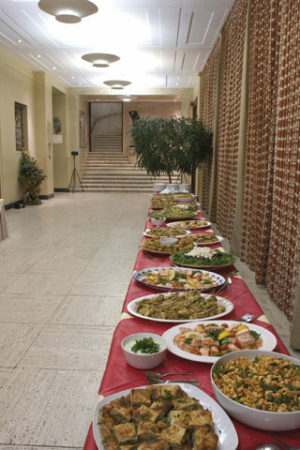 Our facilities can be hired during University vacations, evenings and weekends, and are an ideal and unusual venue for your corporate or private reception or launch, buffet, conference or lecture. Live music to complement your event – in a variety of styles including jazz soloists and combos, chamber groups and singers (price depends upon the number of musicians and the duration of the performance). The Barber Institute houses two outstanding Art Deco lecture spaces, the immaculate Barber Lecture Theatre (capacity 132) and Barber Concert Hall (capacity 349). 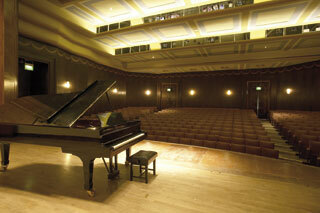 Both are intimate venues with original period features – ideal for lectures and presentations. Both venues are equipped with basic audio-visual equipment, and the Lecture Theatre now has Powerpoint facilities. Additional digital and electrical equipment for the Concert Hall can be hired when booking (please note any extra equipment hired on your behalf will be subject to a supplementary charge). The foyer is available for refreshment breaks. We provide a full range of wines, beers, spirits, as well as teas and coffee and soft drinks on a sale-or-return basis. Additional catering can also be supplied by University-approved caterers. The Barber galleries are open to the public from 10am to 5pm, Monday to Friday, and from 11am to 5pm on Saturday and Sunday. Admission is free and participants are most welcome to visit during conference/meeting breaks. Additional charges apply if you wish to arrange a private view of the galleries outside normal opening hours. Our Venue Hire Policy can be viewed by clicking here. Our Venue Hire Terms and Conditions can be viewed by clicking here. To discuss your function with our Commercial Sales Officer, Mrs Nemone Ryan, please e-mail events@barber.org.uk, call 0121 414 6985 or write to: The Events Officer, The Barber Institute of Fine Arts, University of Birmingham, Edgbaston, Birmingham B15 2TS. To discuss or book your function with our Events Officer, please e-mail events@barber.org.uk , call 0121 414 3370 or post to: The Events Officer, The Barber Institute of Fine Arts, University of Birmingham, Edgbaston, Birmingham B15 2TS.